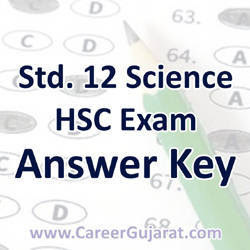 12th Science (Semester 4) HSC Exam March 2017 Maths (050) Answer Key By NIB School Of Science, Palanpur. This Answer Key is Prepared By NIB School Of Science, Palanpur. Note : This Answer Key is Not Official Answer Key. This Answer Key is Prepared By NIB School Of Science, Palanpur.